Ayurvedic Treatment for Epilepsy Seizures | ND Care Nirogam Pvt. Ltd.
At ND Care Nirogam Pvt. Ltd., we use ancient Ayurvedic wisdom blended with the latest scientific research to provide immediate and long-term relief to the epilepsy patients. We focus on balancing the Doshas which are the root cause of epilepsy. Our Ayurvedic line of treatment significantly reduces the severity and frequency of the seizures. Our research-based Ayurvedic products and natural treatment protocols for epilepsy have been the cornerstone of our success in giving the best treatment to the epilepsy patients globally. Epilepsy is referred to as "Apasmara" in Ayurveda. As per Ayurveda, epileptic seizures are categorized into four types viz. Vataj (occur due to vitiation of Vata), Pittaj (vitiation of Pitta), Kaphaj (vitiation of Kapha), & Sannipataj (vitiation Tridoshas) in Ayurveda. Our Ayurvedic methods target the root cause of epilepsy which is the imbalanced Doshas. Ayurvedic treatment supports the desired coordination of various parts of the brain with the help of herbs, minerals, and classical drugs. When these medications are given to the patients, there is a significant reduction in seizure frequency from the very first dosage. Further, the Akshepashaman medications act similar to the modern anticonvulsants, however, without any side effects. Additionally, Medhya Rasayana Varga and Sangya Sthapan Varga of Ayurveda are helpful in improving the coordination of right vs. left brain. The herbs viz. Mandukaparni (Centella asiatica), Yashtimadhu Churna (Glycyrrhiza glabra), Guduchi (Tinospora cordifolia), and Shankhpushpi (Convolvulus pluricaulis) are given in a specified dosage with Akshepshaman medicines (anti-epileptic) that result in effective outcomes. Also, medicated Ghrita is often used for the treatment of epilepsy as it works quickly by crossing the blood-brain barrier. depending upon the condition of the patient. Our formulations act at the level of the nervous system and facilitate proper conduction of signal impulses from the nerves to the muscles. These supplements work wonders in conjunction with external therapies like Panchkarma and physical therapies. Our prescribed herbs improve the state of epilepsy, blood circulation, and overall health of the patient. Right from the usage of our supplements, both the frequency and severity of the seizures reduces and in case of occasional seizures, the patient may not have the seizure attacks. 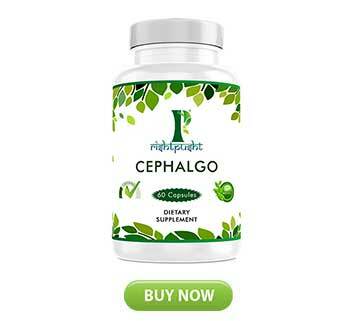 CephlaGo "Effective natural cerebral booster"
Antispasmodic and a mild sedative in action. Powerful tonic for brain and neurons. 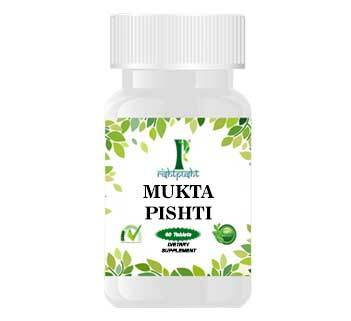 Mukta Pishti "Ayurvedic blend prepared from NATURAL PEARLS"
Balances the deranged Pitta Dosha. Provides relief in mania, psychosis. Helps in mental weaknesses like short temper, decreased ability to think. Kushmanda-Ash Gourd (Petha) juice along with a pinch of Mulethi powder can be used to decrease the frequency of epileptic seizures. Sesame oil or Brahmi Amla oil can be used to massage the head and the soles of the feet. Garlic which is crushed and boiled in milk shows good results. Also, Ghee made of cow's milk should be given to the person with the disability. Acorus calamus powder with honey is useful.